There is so much happening in spring that it can become hard to keep up. After summer temperatures in mid-March, spring finally showed up and cooler, more seasonal conditions have prevailed over the past few weeks. This mild weather is ideal for helping spring ephemerals to remain in prime condition and allowing for continued study and appreciation. Thus, my attention to blogging has waned as the parade of spring flowers continues and it makes more sense to look at the live plants than photos of them. Here are some of the highlights of spring thus far. A few weeks back during mid-March, my wife and I took a trip to Gulf Shores, Alabama. While the primary objective was to spend some time at the beach, soak up some sun, and and enjoy the ocean, my eyes are always scanning the vegetation, looking for the next rarity. I love the south. Alabama is one of my favorite places to botanize. We weren't there long before stumbling upon some rarities. 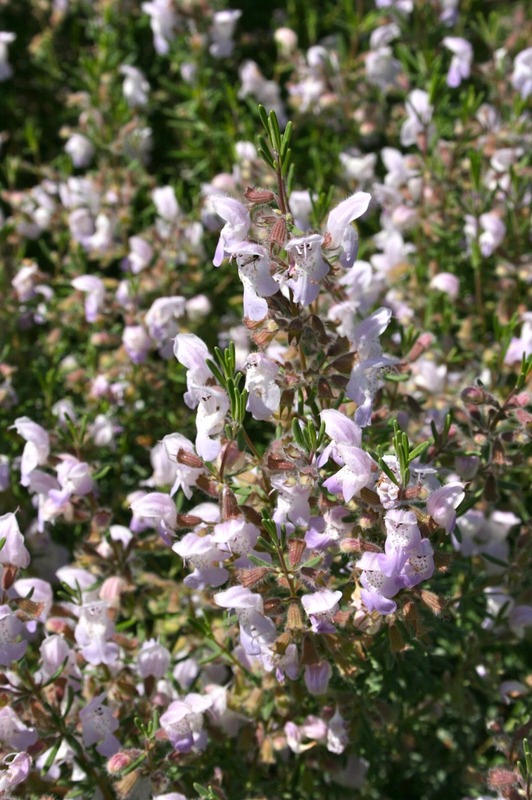 Conradina canescans, known in the vernacular as false rosemary, is a federally endangered species and a sand dune specialist. We found these plants growing near the entrance to a bike trail and found them irregularly scattered along the trail. Later that night we found plants at the edge of a trashy woods next to our campground facing the Perdido Bay. The real highlight of the trip was the discovery of a large population of Trillium decipiens. I have seen this species in the wild before, but this population was one of the most variable I have yet found. These plants were found in a hardwood forest remnant; many thousands of them could be found in a relatively small area. Some of the plants to be found here were simply incredible and some of the most beautiful Trilliums to seen. You just never now what you might find when driving the dirt backroads of southern Alabama.